Lyc-O-Mato is the convenient way to add Tomato Lycopene to your diet. Lycopene is found in a variety of fruits and vegetables, but most of the lycopene in our diet comes from tomatoes. In fact, it is the lycopene that gives the tomato its deep red colour. 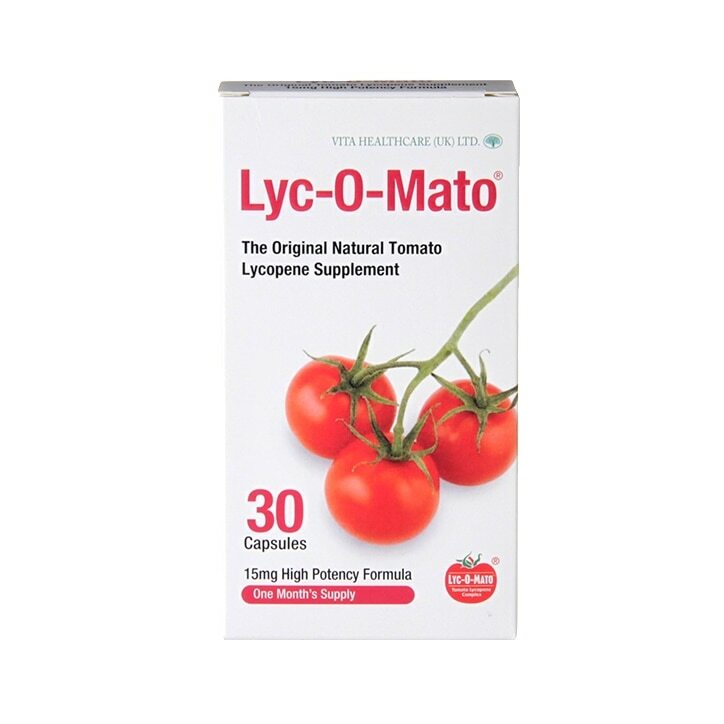 Concentrated Lyc-O-Mato gives you the benefits of 15mg tomato lycopene in a convenient capsule daily. Lyc-O-Mato is easily absorbed into the body with no known side effects. We strongly recommend a healthy balanced diet including the appropriate amounts of fresh fruit and vegetables, combined with regular exercise. One capsule with liquid per day, preferably after food. Gluten-free and does not contain any artificial colours, flavours, preservatives, sugar, yeast, wheat, salt, corn or dairy products. Lyc-O-Mato is certified Kosher and Halal. Vita Healthcare Lyc-o-mato Capsules 15mg is rated 4.9 out of 5 by 7. Rated 5 out of 5 by paulb58 from Good product The capsules are easy to swallow, and the pack is reasonably priced. Rated 5 out of 5 by Judeb from Great quality & value Great quality and value, speedy delivery after the order date.